Live Music every night on the outdoor patio May through September, weather permitting. Sundays, 3 to 9, Tucci's offers Retail Wine Night, during which all wines on Tucci's menu priced $100 or less are sold at State Minimum Pricing. Tucci's offers Private Dining in our Emerald Wine Room. The Emerald Wine Room comfortably accommodates up to 14 people for a seated meal. The Wine Room is available for Lunch, with no minimum spending limit required. During the Dinner hours of 5:00 PM and later, guests of the Wine Room are responsible for a minimum spending limit of $500. We are also able to accommodate large parties of up to approximately 30 guests in our back dining room, in a semi-private setting. Located in the heart of Historic Dublin, Tucci’s beckons those in search of an intimate, yet friendly, dining experience. Tucci’s prides itself on offering the finest and freshest – and organic, when available – local ingredients in a culturally diverse menu. In addition to its chef-driven menu, Tucci’s is known for its outstanding wine program, which has been recognized by Wine Spectator with their Award of Excellence for the past three years. Boasting more than 300 bottles in their wine inventory, Tucci's offers an Enomatic Wine System that allows guests to enjoy 2, 4 or 6-ounce pours of up to 16 different wines typically not available by the glass. Complimenting the elegant, yet comfortable, dining room is the 3,000 square foot patio that Tucci’s guests may enjoy when weather permits. Ferrari-Carano 'Fume Blanc', Sonoma Co.
Stolpman 'Ballard Canyon' Estate, Santa Barbara Co.
Valley of the Moon Pinot Blanc, Sonoma Co.
Benziger Family Winery, Sonoma Co.
Rodney Strong 'Knights Valley', Sonoma Co.
Hidden Ridge '55% Slope', Sonoma Co.
Dana Estates 'Hershey Vineyard', Howell Mtn. Walt 'La Brisa', Sonoma Co.
Dutton-Goldfield 'Dutton Ranch', Sonoma Co.
Martinelli 'Bondi Home Ranch' or 'Moonshine', Sonoma Co.
St. Francis 'Old Vines', Sonoma Co.
Louis M. Martini 'Monte Rosso' Gnarly Vine, Sonoma Co. I enjoyed Tucci’s and look forward to going again. We went for happy hour and ordered the hummus, mussels, and beet salad. I loved the mussels, but they were not served with bread, which was odd, and it was a fairly small portion for mussels- but still very tasty! 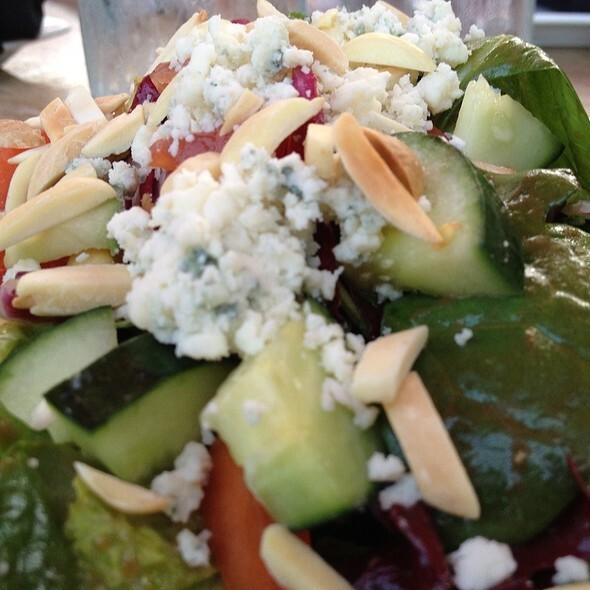 The beet salad was also very delicious as was the hummus. Thank you for dining with us! We appreciate your feedback. We hope to see you back again soon! Easter Brunch was exceptional. We were very happy with everything. 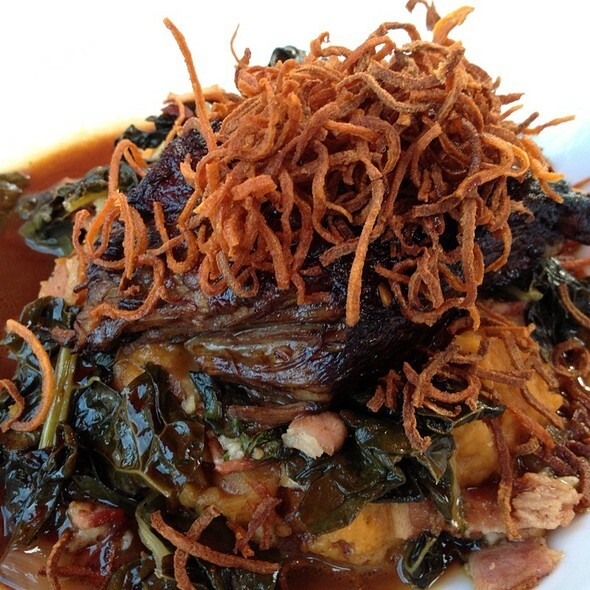 The location, food, service and ambiance all exceeded our expectations. Thank you for making our family event very special. Wonderful! We're so glad to hear it. We hope to see you back again soon. We had a wonderful time. Bar service was fast and attentive, we were seated promptly for dinner, and the wait staff was knowledgeable, efficient and just a total professional. The wine sommelier recommended a terrific wine. Just love Tucci’s and we’ll definitely be back. We look forward to your next visit, Brooke. We're glad that you had a great time with us! We were politely and promptly greeted. We went to bar to have a drink during Happy Hour. Unfortunately bartender did not give Happy Hour prices to the ladies who ordered wine. Also, you could tell the bar has regulars and they were not to happy we were taking up their space. Food and service was exceptional. Unfortunately a gentleman behind our booth asked us to be quiet and whisper in a not nice manner. He was quite rude and you could tell a regular. It put a damper on the entire evening. Great place for couples and a romantic evening not a good place for a few ladies to gather and catch up. Great date night location! Fantastic service every time and our last visit was no exception. We're so glad that you enjoyed your visit. We hope to see you back again soon! First date and a little too noisy but I guess that’s to be expected. The service was mediocre and there was too much of a gap between times for follow up or different courses. I also did make the reservation on Open Table in anticipation of getting a booth. We ended up with the table right by the front door which wasn’t ideal. I do hope that you will join us again. Have a great day. Found on open table near hotel in Dublin and was more than impressed with our meal. So much that we snuck over a second time the next day to make sure we weren’t dreaming the steak was so so good. Yep it was that good! The 10 oz filet was perfectly cooked and seasoned with the difficult task of seared crust outside and juicy delicious marbled yummy inside. My wife who is next to impossible to please harkened back 20 years to the steak she had in Michigan ( which I have been unsuccessfully trying to recreate ever since). Sides were above average and would go with flatbread as appetizer or side dish. Wine list impressive but a little pricey. Server and ambiance were nice but the steak oh the steak! Thank you so much for your thorough review. We're so glad that we took your wife back through time and space to the last time she had a steak this good. Our chefs work very hard to make sure that all food is of exceptional quality. We're glad you were able to experience it. We hope to see you back when you're in town! 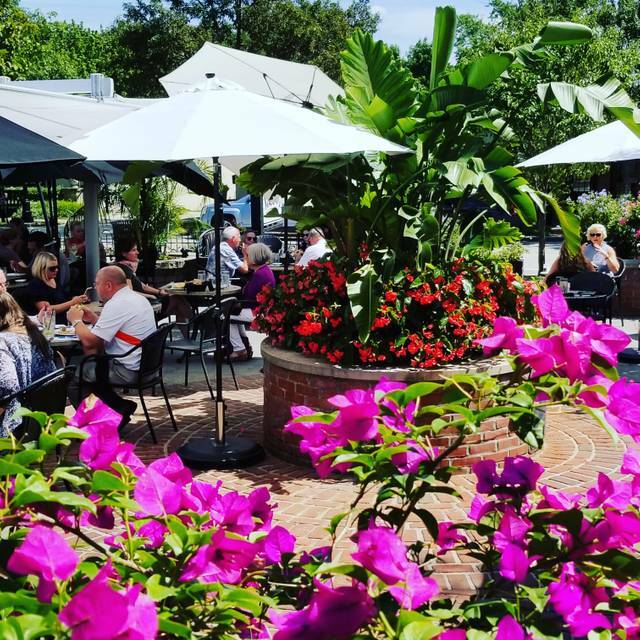 Outdoor dining the best in central Ohio ! Great food and adult beverages to please all ! Wonderful! We're so glad that you've enjoyed your visits. We hope to see you back again soon. Server was great. Knowledgeable and fun. We're glad to hear it. We hope that you will join us again soon! The staff is amazing! The specials are always wonderful. Great place. Thank you for the kind review! We're so glad that you enjoyed your visit. We hope to see you back again soon. We were celebrating a birthday. Our server did an excellent job! Food was great! Wonderful! We're so glad to hear it. Thank you for spending your special occasion with us. The staff is very attentive. They wished my wife a happy birthday as I had mentioned when I made the reservation The food is delicious. We're glad that you and your wife were able to enjoy your time with us. Happy Belated Birthday to her! We hope to see you both back again soon. Nice variety of delicious dishes. Friendly staff and great service. We're so glad to hear it! Thank you for dining with us and we hope to see you back again soon. Thanks for the review, Ned! We're so glad that we were able to take care of your work group and that everyone loved their meals! We hope to see you back again soon. I want to thank our server, Sarah, for her excellent and outstanding service! It was our first time with her as our server (usually its Kim). And it's always great to see Kim, Mike and Bruce once again. You have such a great staff and its always a pleasure dining there. Thank you all. Thank you for your kind words and continued support! We're so lucky to have great returning guests. We're glad that you felt you received the same excellent service from Sarah as you do from Kim. We look forward to your next visit. one of the best in food quality and diversity and service. Absolutely! One of the things that people sometimes forget is that we are here to make sure that you enjoy the experience and we will try our best to do so! Thanks for stopping in and we hope to see you back again soon! Great food, great service and outstanding wine list. It's a must go to when you are in the area. We're so glad that you enjoyed your visit! 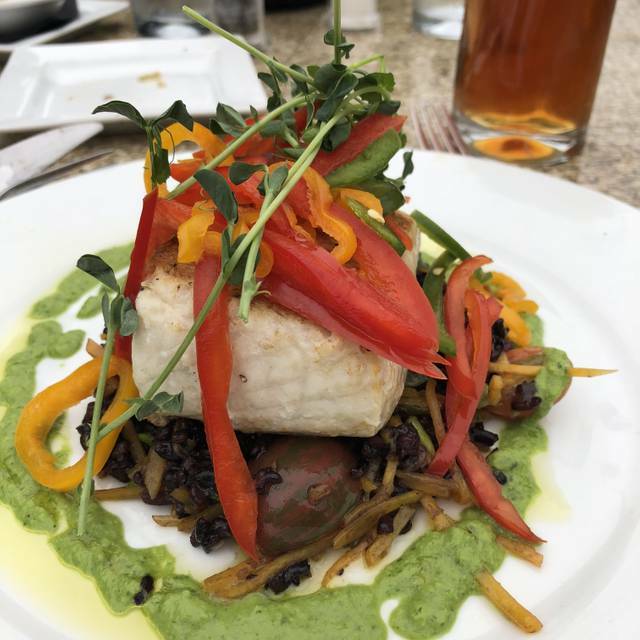 Thank you for dining with us, we hope to see you back again soon! We were very surprised and disappointed in our overall experience. We used to live near there and went frequently. I think they’ve really gone downhill in the last two years and it doesn’t appear that they can keep up with the competition from the new restaurants that have opened as a result of the development across the River. They are charging fine dining prices for mid-range food. The food was always pricey, but it was on par with the experience. That is no longer the case. The top issue we had was the food quality/price ratio. Let me preface with stating we now live in New York and dine out in fine food establishments at least once per week. Two people ordered the fish special which was a red snapper with kale and served on risotto. They didn’t tell the price, but our expectation was that it would be about $26. When we got the bill, it was $38!!! Seriously. It wasn’t even good. In fact, it was horrible. It was like a dried-up piece of cheap snapper from a microwave bag and the risotto was chunky. That was higher than their small filet mignon and about $12 higher than their other fish dishes. Although we did not complain about the food or anything, after paying the bill, I mentioned to the waiter that he should tell the owner that the price on the fish was way too high for what was served. He got so angry and immediately snapped at me and addressed me like a child and said “I asked you if it was good and you said yes. If you had a problem, you should have said so. That’s why I asked.” I was blown away. We were not asking for them to take it off the bill. We had already paid. I told him that it was actually horrible and the other person at the table concurred. We then left. As for ambiance, in the bathroom, it used to be really nice. Now, it’s like a gas station. They had a 2-foot tall Listerine and 2-foot soap on the counter in original packaging. For goodness sake,at the prices they are charging, I think they can buy some containers. 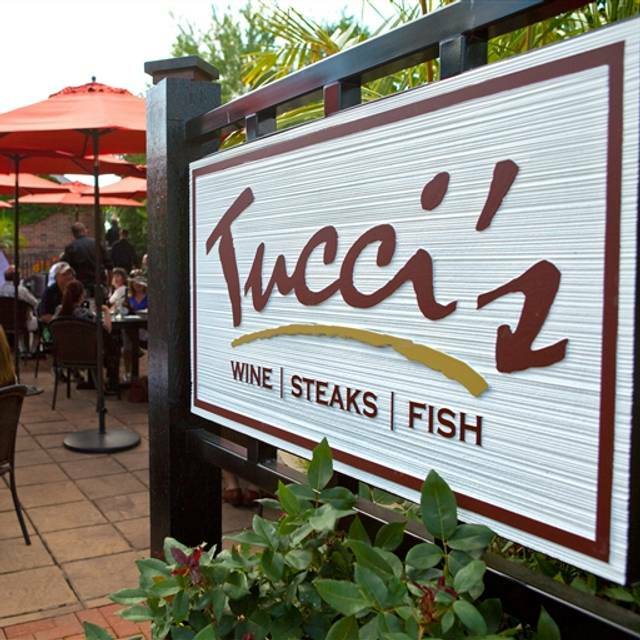 This was our second time at Tucci’s and we had great meals with wonderful service! Great! We're so glad to hear it. We hope to see you back again soon. Another great meal. We’ve eaten here many, many times. Always very good food and service. Than you for the kind words and continued support! We look forward to your next visit. I was thinking it was a Italian restaurant and when we got there we were told it was a Bistro and on Saturdays and Sundays they do a brunch. It limited the menu that a saw on their web site being a brunch but everything was enjoyable. Thank you for your review! We have found that our Brunch menu has enough offerings to satisfy our guests but not enough to overwhelm with choices. We hope that you will join us again! Wonderful dinner experience! Awesome service! I had the Tucci’s lasagna and it was so big that the piece I took home was dinner for 2 the next day. The server was so polite and on top of things. He asked if we were celebrating anything and in fact we were; we had great medical news to celebrate . And we were offered a free dessert. Thanks for the wonderful dinner. Great! We're so glad that you enjoyed everything and congratulations on your news! We hope you will dine with us again soon. Took my sister for her 30th birthday. We all ordered something different and every plate was delicious! The atmosphere was perfect - not too quiet, but not too noisy and it felt so cozy! Our waiter, Kyle, was awesome. He was the icing on top of the cake of a great experience at Tucci's. Can't wait to go back! The whole crew at Tuccis, from the host, service, bar, wine, and food always deliver! They treat you like family and it’s always a fun time. Can’t wait until patio season! Wonderful!! We're so glad that you enjoyed everything. We're just as excited for patio season...just as soon as this weather picks up consistently! We look forward to seeing you back again soon. We always enjoy our Experience At TUCCI'S. We have been dining at your Restaurant for many years and will continue in the Future. The Waiter / Waitresses are always very Pleasant and serve a warm- helpful Smile. The food is always fabulous ! Thank you for your great review! We are so glad to have regulars such as yourselves. See you next weekend!! Fantastic service, wine and food. Exactly what we expect every time we visit. We're glad you have enjoyed your visits with us. We look forward to seeing you back again soon. Service and ambiance was wonderful. The quality of the food was not. Had the meat tray appetizer and was told it was a ton of food for 3 people. Contained only a few extremely thin slices of dried meat. My client ordered the "very thick porkchop" medium. It was not a thick chop in my mind and was very dry. Unfortunately I did not know this until the next day when the client informed me that he would not return Tucci's again due to his meal and especially for the prices. I had a filet with added scallops. I was expecting a lot more than 2 very small scallops for an extra $12. Steak was good but nothing special. Thank you for your honest feedback. We're sorry that you didn't enjoy your food and its presentation. If you wouldn't mind sending me your address in a private message I'd love to send you a gift certificate to join us again as we take pride in our food quality and want to show that to you through your next meal. I hope to hear from you! Wonderful! We're glad to have you. We look forward to your next visit. Great food, great service and would definitely go back. Wonderful! We're so glad to hear it. We look forward to seeing you again soon. Wonderful. 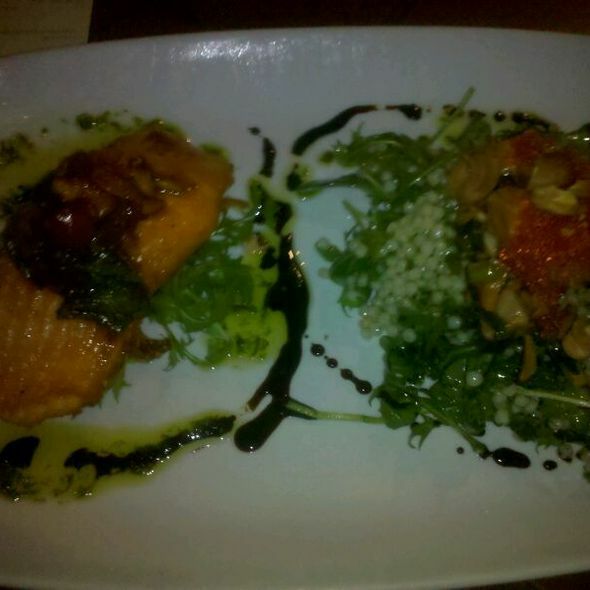 From beginning to end, the quality of food was outstanding. Tucci’s always adds a creative touch to their meals. The red snapper special with ratatouille and a touch of sautéed spinach was excellent. I love vegetables but usually am not over the top about ratatouille; HOWEVER, the chefs combination of vegetables and seasonings was wonderful. The red snapper was moist, flavorful, and flaky. The special bread that was served with the sourdough basket was also wonderful as well as the balsamic dipping oil. Our meal was topped off with two complimentary lemon cheesecakes with lit candles. Such a thoughtful unexpected touch and equally as delicious as the special. We, of course, will return and look forward to the outdoor patio dining during the warm months. We also plan on getting to their weekend brunch soon. 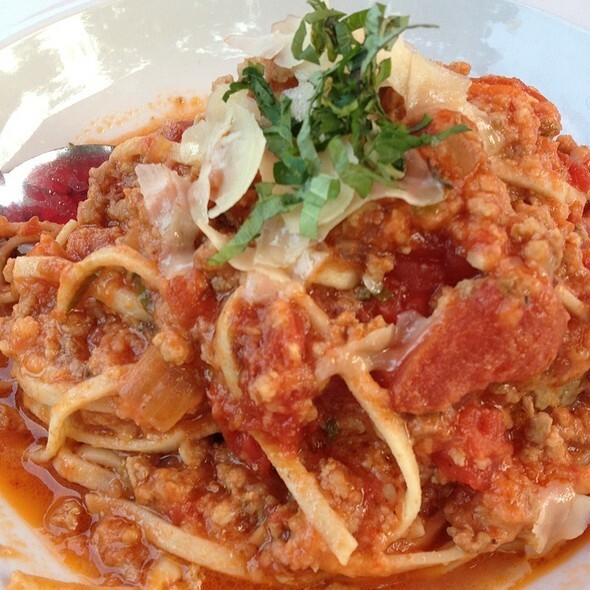 We highly recommend for lunch also. Wow! Thank you for your detailed feedback. 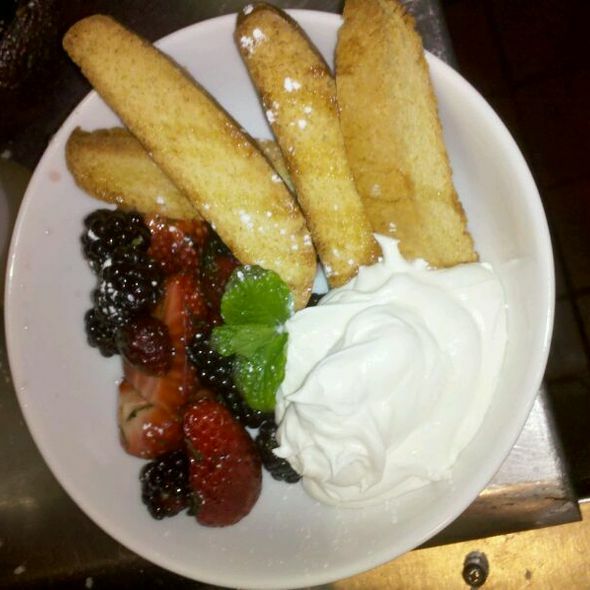 We'll send your compliments to the Chef and we look forward to seeing you at brunch! The service, food, atmosphere etc was GREAT! Will go back soon. We're so glad to hear it! We look forward to your next visit. Thanks for stopping in. Thank you for your feedback. We appreciate your kind words and hope to see you again soon. Great Bloody Mary’s! Clam chowder was delicious would definitely go back! Wonderful! We're glad that you enjoyed your experience with us. We hope to see you again soon! 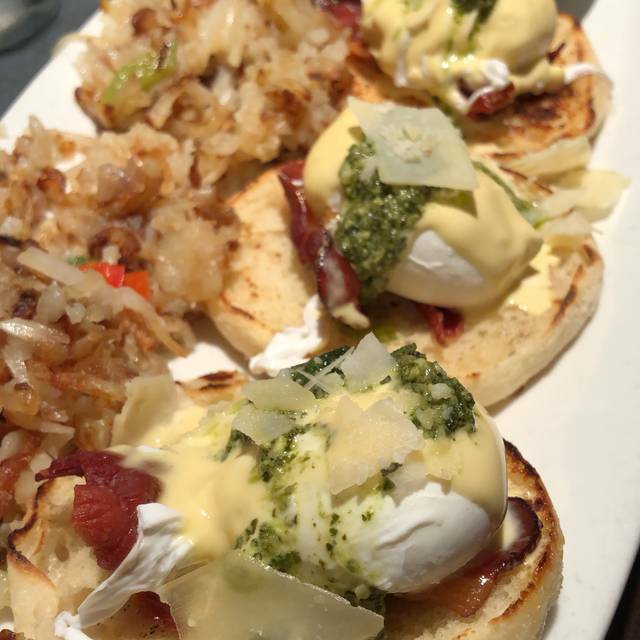 We're glad that you enjoyed our brunch! We hope to see you again soon. Food and service was excellent as always. It was really warm in our part of the restaurant that evening. Thank you for your feedback. We will make sure to pay closer attention to the temperature so that it is comfortable throughout. We hope to see you back again soon. Great neighborhood place to catch up with friends. Service is outstanding. Thank you for your review! We're glad that you have enjoyed your visits with us. We hope to see you again soon. Sorry it took so long for me to write this but I did want to say that our waitress Kim is extraordinarily helpful, wonderful and an absolute pleasure. Chef Mike is incredible as well and your Somalia (I don’t remember his name) was very helpful choosing a wine. Thanks to everyone at Tucci’s for yet another wonderful dining experience, which is why it’s my “go to” place! As always the food was delicious! Brad was an outstanding server and always made sure we had what we needed! We're glad that you enjoyed your visit and your service from Brad. We hope you will dine with us again soon.